The rapid increase in the amount of per-person healthcare data proves the necessity of easily-accessed patient care information with high-security privacy safeguards. 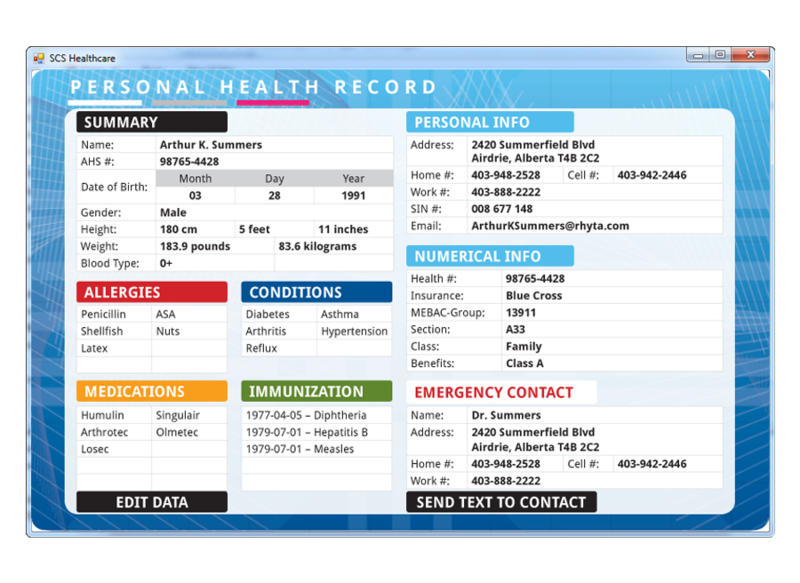 SCS Multi-Application Healthcare Smart Cards address these challenges with instantly accessible Electronic Health Records (EHR) - from emergency primary information for 1st Responders and Triage; to high-security patient histories, lab results and benefits calculators. 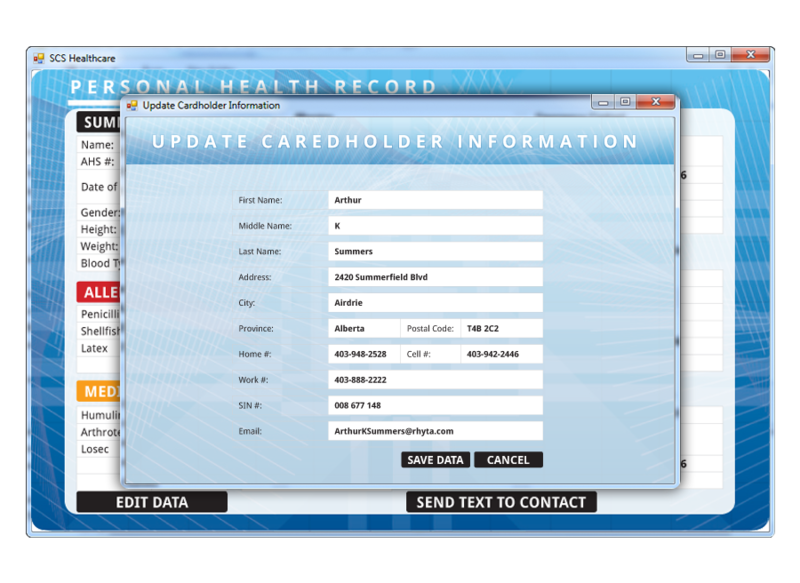 Eliminates the need to fill out patient questionnaires at clinics, specialists and other healthcare providers by providing reception with current, complete information. Speed-up patient check-in and flow-through by 15-20 minutes. SCS Card Technology Inc. uses CPU/MPU Microprocessor Multifunction Cards with on-card dynamic data processing capabilities. Multifunction smart cards assign card memory into independent files assigned to specific functions or applications. The card’s chip is therefore, a microprocessor that manages the memory allocation and file access. These microchips are comparable to the chips in all personal computers. 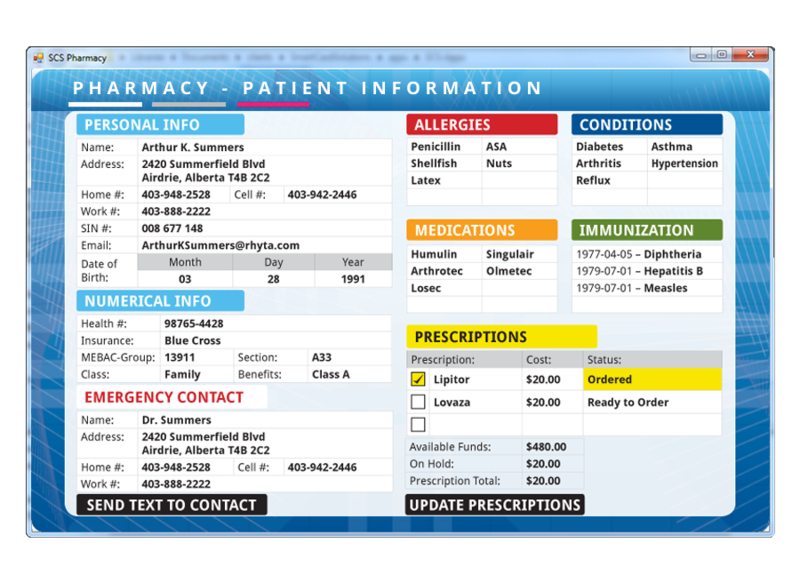 When implanted in a smart card, they manage data in organized file structures. This software controls access to the on-card user memory, permitting different and multiple functions, and different applications to reside on the card, allowing a diverse number of applications through the card. SCS Card Technology Inc. provides expandable, secure, multiple smart-card solutions integrated on one proprietary multi-function microprocessor chip. This means that an SCS smart card can provide significantly more to any client.